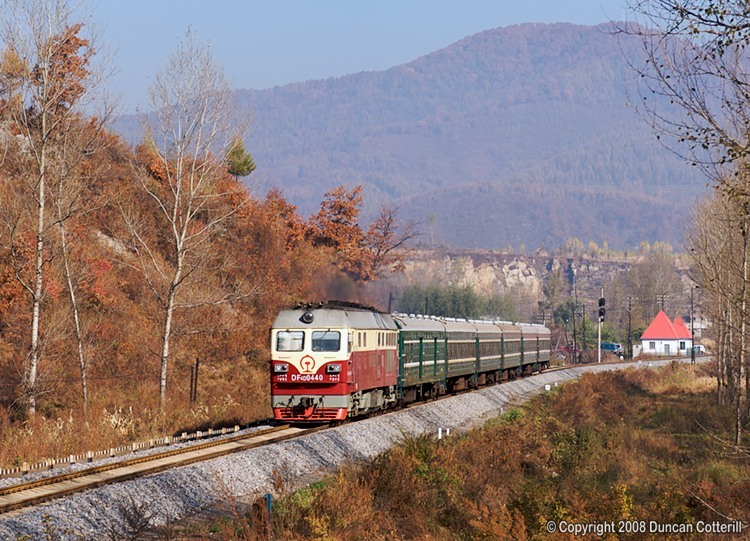 The DF4D off the overnight train from Beijing filled in by working the local passenger to Ji'an and back. DF4D 0440 was in charge of train 6347 on 7 October 2008. The train was photographed leaving Yayuan where the Ji'an branch diverges from the Tonghua - Hunjiang line.